Rondelles 7 mm There are 9 products. 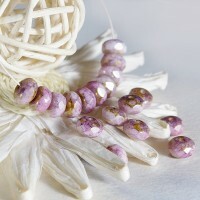 Czech glass beads fire polished opaque purple donuts with golden edges. Czech glass beads fire polished gemstone opaque red donuts with picasso edges. 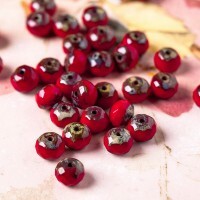 Czech firepolish rondelle beads. Color - combination of deep vinous red, turquoise blue, topaz with picasso edges. Very elegant beads ❤️. There are 40 pcs in 1 pack. 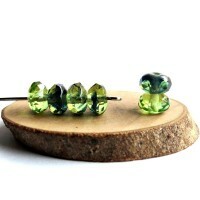 Czech glass beads fire polished rondelle beads. Color - transparent amethyst with picasso coating. 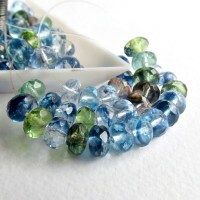 Czech glass beads fire polished mix donuts of blue and green shades. Czech firepolish rondelle beads. 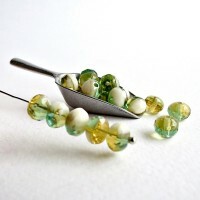 Color - combination of transparent light topaz, light turquoise green and opaque white. Very elegant beads ❤️. There are 40 pcs in 1 pack. 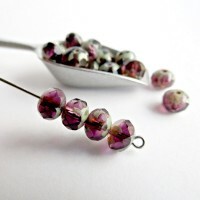 Czech firepolish rondelle beads. Color - a marbled combination of transparent green and dark green stripes. There are 40 pcs in 1 pack. 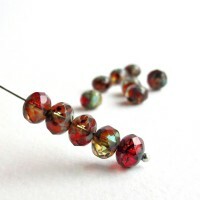 Czech firepolish rondelle beads. 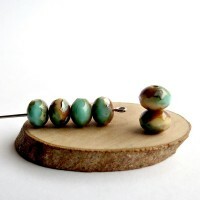 Color - combination of beige and turquoise green with picasso edges. Ideal for boho and hippie jewelry ❤️ There are 40 pcs in 1 pack.